I made this pie after I accidentally confused a can of condensed milk for evaporated milk while making some pumpkin pie. As soon as the can opener made a small slit in the can I realized my mistake. I transferred the condensed milk into a jar to wait in the fridge until I found a recipe in which to use it. A photo of this pie caught my fancy on a google image search for desserts using condensed milk. I am glad that I tried this recipe because it is so much better than I even imagined a peanut butter pie could be. If you love peanut butter, you will love this pie. It is like a big fluffy peanut butter cup. I can’t convey how good this pie experience is. Thanksgiving is next week. 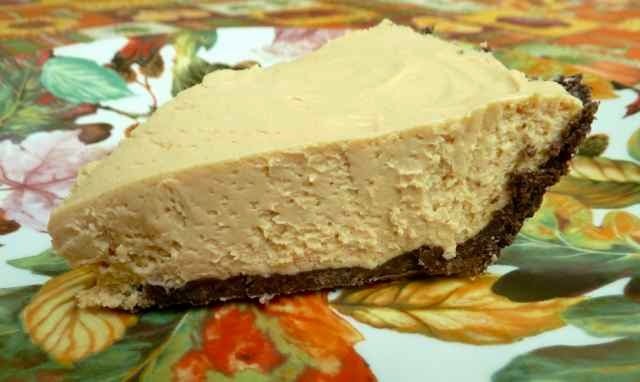 A No Bake Peanut Butter Pie is perfect for the holiday or anytime. You can make it ahead or after the turkey is in the oven, so that there is no competing for precious oven space while making dinner. This pie can even be frozen and thawed in the fridge on the morning you will serve it. The peanut butter pie is creamy and light yet rich and satisfying. Umm it is so yummy that everyone will be savoring each bite with delight. If there are any leftovers you can freeze slices and thaw them as needed. I imagine that it could be made dairy free by using melted margarine instead of butter for the crust and using dairy free cream cheese and coconut whipped cream or pureed silken tofu for the filling. You will need to make homemade dairy free condensed milk too. I’ll let you know how to tweak the recipe when I try this for my vegan son. 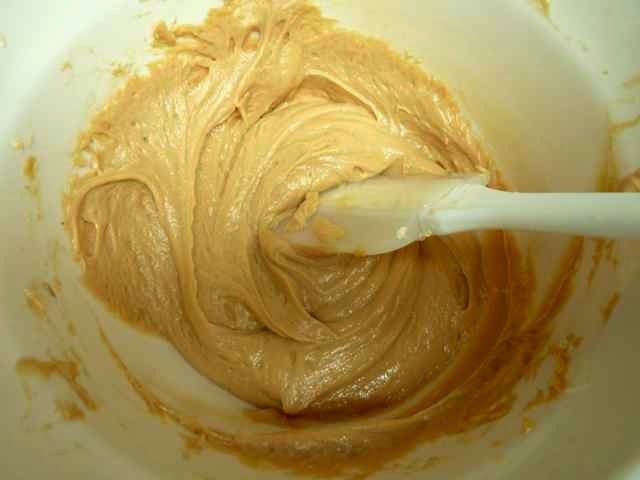 1 cup Smooth Peanut Butter - I used unsalted organic peanut butter with peanuts as the only ingredient. Melt the butter. If you melted it on the stove add the crushed cookies to the pan and mix. 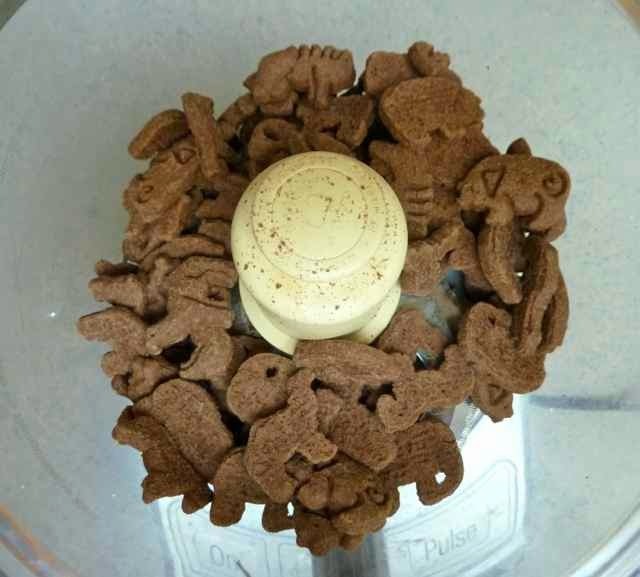 If you melted it in a bowl in the microwave (like I did) then add the cookie crumbs to the bowl and mix. 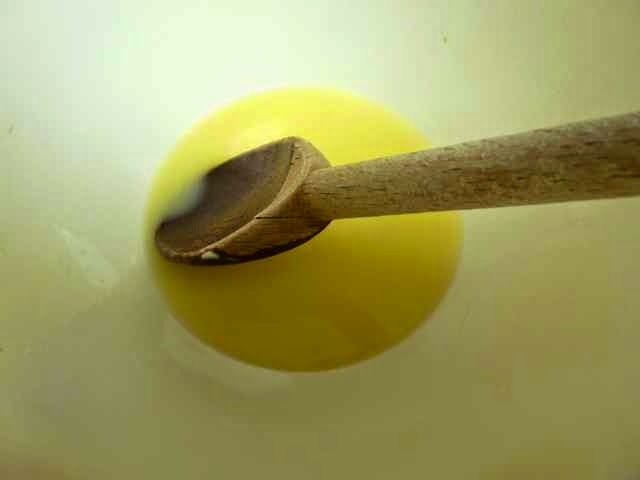 Melted butter in a bowl. I used the microwave to melt it. in the food processor bowl. Put the crumb mixture into a 9-inch pie pan. Press the crumbs as evenly as you can along the bottom and up the sides of the pan. Set aside. Crumbs in a 9-inch pie pan. Crumbs pressed along the bottom and sides of the pie plate. 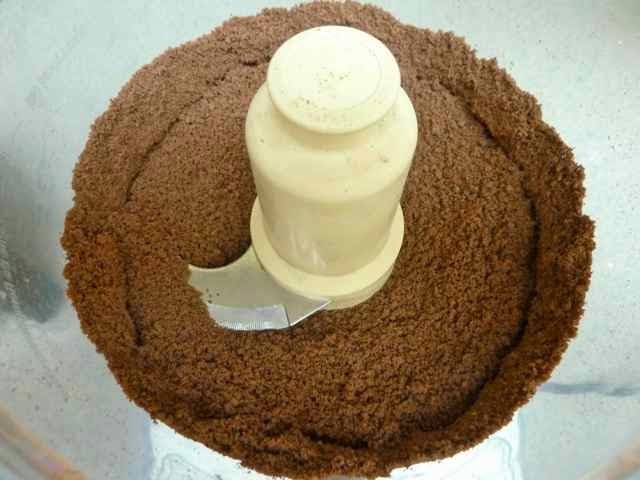 With a hand mixer or in the bowl of a stand mixer beat the cream cheese until smooth. Add the peanut butter, lemon juice, condensed milk and vanilla. 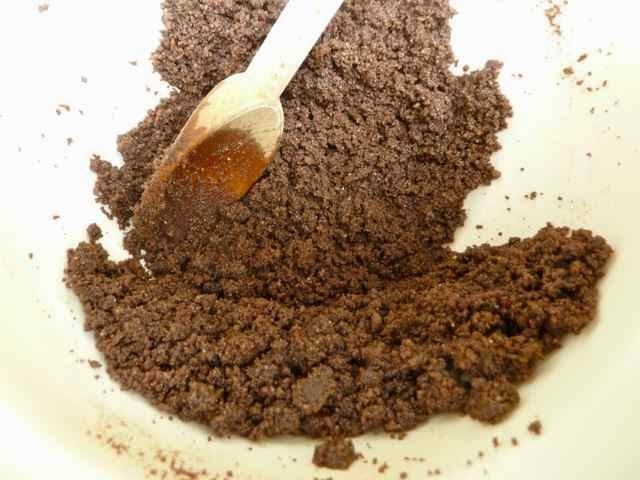 Stir or beat until smooth. I tried to use the electric hand mixer, but the batter was too thick and climbed up the beaters, so I used a silicone spatula to mix it. There will probably be no problem mixing it if using a stand mixer. 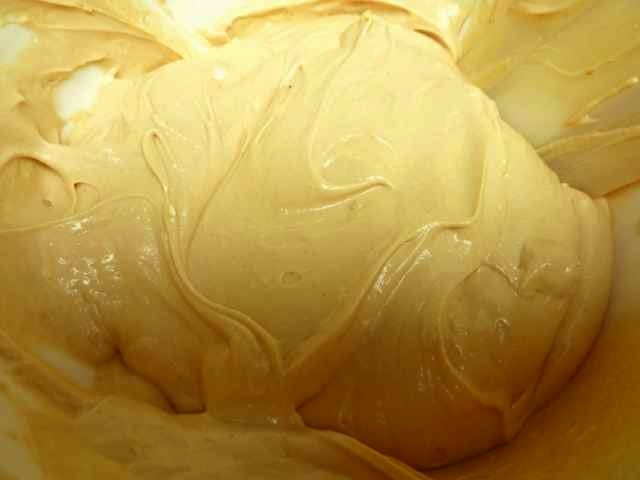 The peanut butter, lemon juice, vanilla, condensed milk and cream cheese all mixed. Whip the heavy cream in a separate bowl until soft peaks form. Add the whipped cream to the bowl with the peanut butter mixture. Whipped Cream added to the bowl with the peanut butter mixture. Fold in the whipped cream using a silicone spatula. The whipped cream completely folded into the peanut butter mixture. Pour the filling into the prepared pie crust. Chill for at least 4 hours or overnight. Filling in the prepared crust. This photo was taken at night so the lighting is off. Posted it anyway to give an idea of what the whole pie looks like. You can make this pie ahead and freeze the whole pie, well wrapped. Thaw in the fridge the morning of the day you plan to serve the pie. Left over slices can be frozen and thawed as needed. For a fancy presentation you can drizzle melted chocolate over the pie. 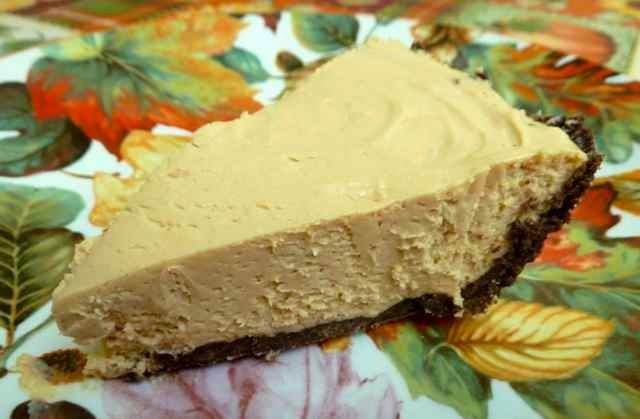 GLUTEN FREE NO BAKE PEANUT BUTTER PIE Makes one 9-inch pie Ingredients CRUST 4 Tbs. Unsalted Butter - melted 2 cups / about 8 oz. 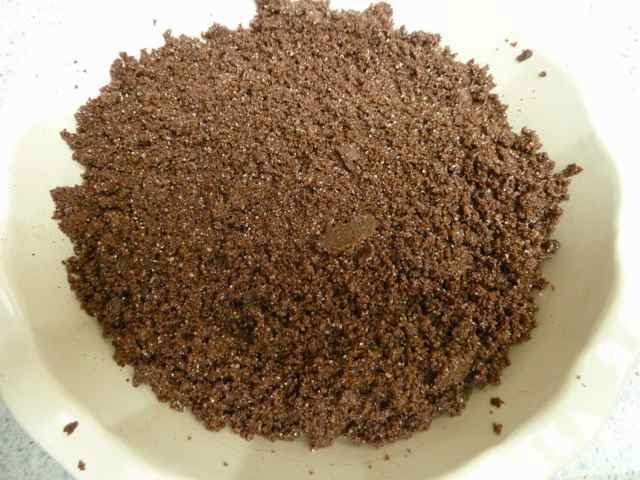 GF Chocolate Cookies - finely crushed or ground in the food processor 3 Tbs. Sugar 1/4 tsp. 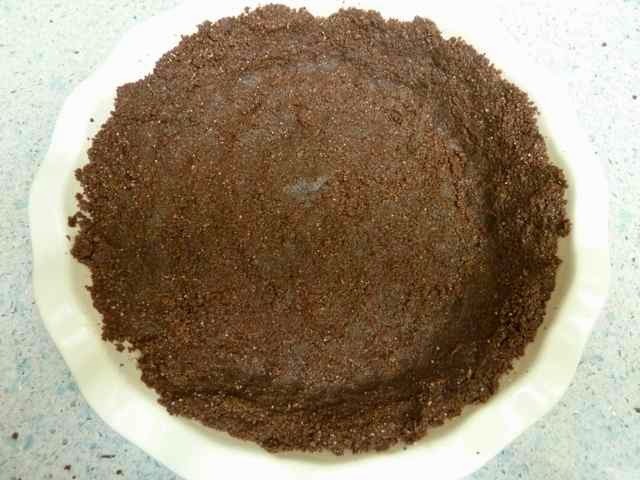 Xanthan Gum FILLING 8 oz. 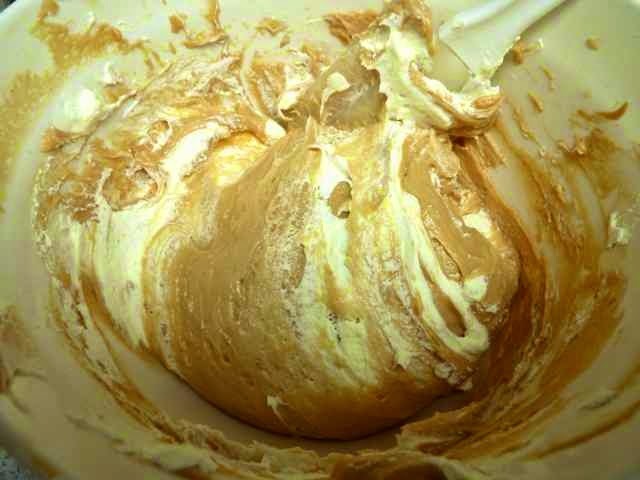 Cream Cheese - at room temperature 1 cup Smooth Peanut Butter 1 can (14 oz.) Condensed Milk 3 Tbs. Lemon Juice 1 tsp. 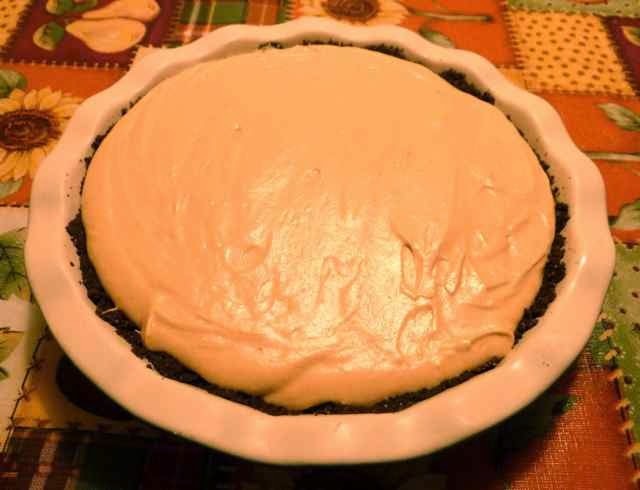 Vanilla Extract 1 cup Heavy Whipping Cream - whipped to soft peaks Directions First make the crust. Melt the butter. If you melted it on the stove add the crushed cookies to the pan and mix. If you melted it in a bowl in the microwave (like I did) then add the cookie crumbs to the bowl and mix. Put the crumb mixture into a 9-inch pie pan. Press the crumbs as evenly as you can along the bottom and up the sides of the pan. Set aside. Next make the filling. 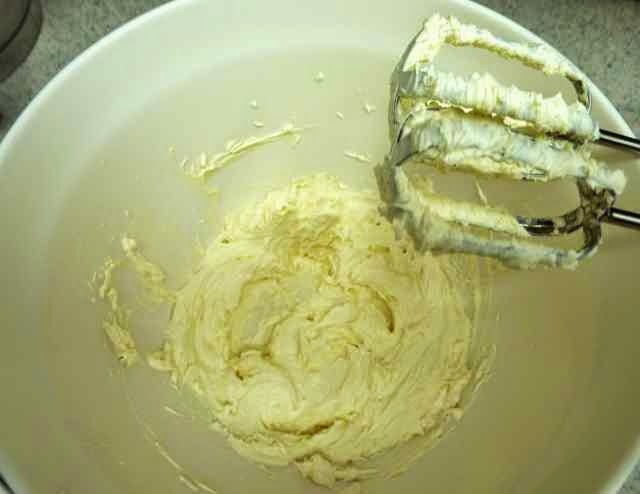 With a hand mixer or in the bowl of a stand mixer beat the cream cheese until smooth. Add the peanut butter, lemon juice, condensed milk and vanilla. Stir or beat until smooth. I tried to use the electric hand mixer, but the batter was too thick and climbed up the beaters, so I used a silicone spatula to mix it. There will probably be no problem mixing it if using a stand mixer. Whip the heavy cream in a separate bowl until soft peaks form. 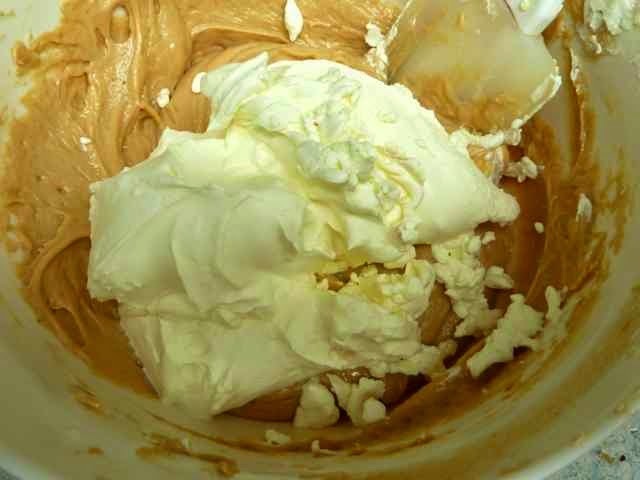 Add the whipped cream to the bowl with the peanut butter mixture. Fold in the whipped cream using a silicone spatula. Pour the filling into the prepared pie crust. Chill for at least 4 hours or overnight. You can make this pie ahead and freeze the whole pie, well wrapped. Thaw in the fridge the morning of the day you plan to serve the pie. Left over slices can be frozen and thawed as needed. For a fancy presentation you can drizzle melted chocolate over the pie.